It’s that time again! The Washington Nationals have (finally) revealed their slate of non-roster invitees to spring training. 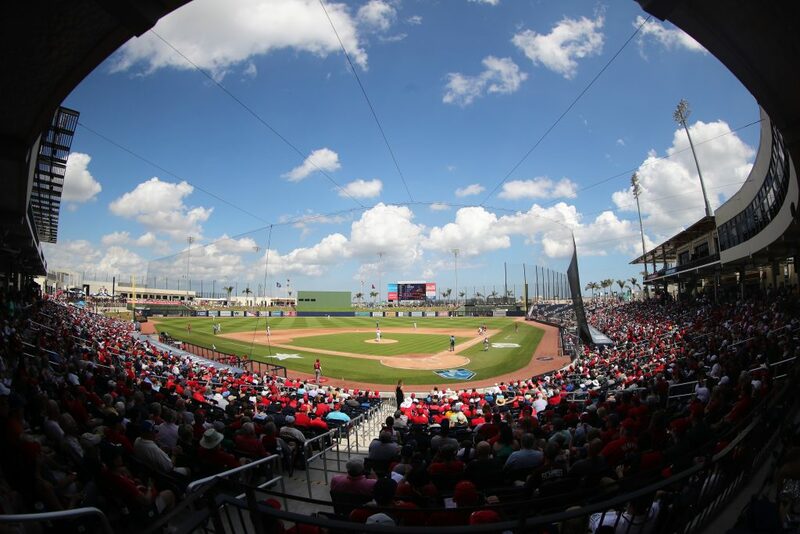 We head into camp at West Palm Beach, Florida, eager to see what’s new and different in 2019 from last year’s disappointing 82–80 team. The Nats appear to be mostly done with their offseason shopping, with the biggest lingering question mark revolving around a player who is certainly familiar to everyone here. So we’ll take this opportunity to get to know the men new to the roster as well. 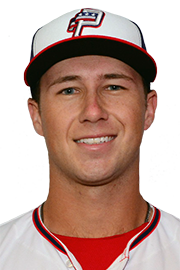 The Nats’ top infield prospect and the younger brother of 2018 backup catcher Spencer Kieboom, Carter Kieboom is a natural shortstop who started getting reps at second base during a successful stint in the Arizona Fall League last year. 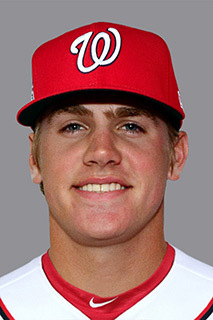 With a quick right-handed bat and an advanced approach for a 21-year-old high school draftee, Kieboom is considered close to major league-ready — or at least, the Nats seem to think so, inviting him to his first official major league spring training after working him into a few games as a visitor from the minor league side of camp last March. Scouts are mixed on whether Kieboom has the athleticism to stick at shortstop, although a solid defensive campaign across High-A Potomac and Class-AA Harrisburg last year seemed to sway many of the skeptics toward thinking he can succeed at short in the major leagues. However, the Nats currently have a major league shortstop, and 25-year-old Trea Turner seems unlikely to relinquish the role anytime soon, barring injury. So Kieboom began to work out at second base, seeing time there in Arizona and continuing to practice during the offseason. The Nats ended up signing a veteran second baseman last month, closing off the clearest path Kieboom had into the major league lineup this season. But notably, that contract expires after the 2019 season — and Kieboom has to take heart in being assigned a low number as a non-roster invitee to spring training, often a sign that a player is under serious consideration for a role at some point in the not-too-distant future. One way or another, fans will likely see him in Washington this year. And here’s the man who is blocking Carter Kieboom. “With numbers like that! ?” you might wonder. But while Dozier endured a dismal 2018 season with the Minnesota Twins and the Los Angeles Dodgers, he collected American League MVP votes in each of the three prior seasons, across which he homered 104 times, stole 46 bases, and rapped out a .258/.831 batting line. In 2016, he provided the Twins with 42 home runs, and he followed up that power outburst with a 34-homer campaign in 2017. Even having a terrible year in 2018, Dozier assembled his fifth straight season with more than 20 homers plus more than 10 stolen bases. Dozier supposedly suffered a bone bruise in his knee early in the season that hampered him throughout. The second baseman was determined to grind through it, he told the media, having never been forced onto the disabled injury list in his major league career. But he faded even further after a midseason trade to Los Angeles, and he made just 22 trips to the plate during the Dodgers’ postseason run to the World Series. 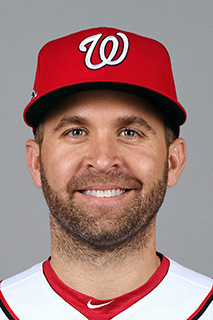 In signing Dozier to a one-year pillow contract, the Nats are putting faith in the soon-to-be-32-year-old — just not too much faith. With prospects like Carter Kieboom in the pipeline and the possibility that injured veteran Howie Kendrick could prove able to handle some playing time at second base, the Nats don’t have too much riding on Dozier. At best, they get a power hitter who is savvy and quick on the basepaths, who won a Gold Glove as recently as 2017 and has far better instincts in the field than predecessor Daniel Murphy ever did, providing both a steady glove and a middle-of-the-lineup bat. At worst, they get a toolsy if inconsistent bridge to Kieboom who could be shifted into a part-time role down the stretch. Acquired from the Cleveland Indians in a November trade for rookie pitcher Jefry Rodriguez and prospects Daniel Johnson and Andruw Monasterio, Gomes was probably the most feared catcher in the American League back in 2013 and 2014. Across those two campaigns, both with the Tribe, Gomes spanked 32 home runs and terrorized opposing pitchers to the tune of an .801 OPS. He also gunned down 35 percent of attempted base-stealers, so he was getting it done on both sides of the ball. Now 31, Gomes is likely best known for being the first Brazilian-born player in Major League Baseball, with the sport only recently becoming more popular with youth in the Western Hemisphere’s second-most-populous country. But he actually has ties to the Washington, D.C., area, as his father-in-law is Mount Vernon High School product and 1983 All-Star pitcher Atlee Hammaker. Under team control through 2021, Gomes surely hopes to ensconce himself in the D.C. community and endear himself to Nats fans and pitchers alike. All that being said, trading for Gomes carried some risks. Although he rebounded strongly in 2018, he was a virtual nonentity at the plate from 2015 to 2017, putting up a piddly .215/.643 slash line while only getting on base about 27% of the time. He remained a stalwart defender — he’s been above-average throwing out baserunners attempting to steal in every season he’s played — but things got so bad at one point in 2016 that his teammates sacrificed a rubber chicken in the clubhouse to try to lift the “curse” on their popular catcher. Gomes has also dealt with some durability issues at times, although not nearly to the extent of predecessors Matt Wieters and Wilson Ramos. The Nats will hope his 2018 rebound was a true return to form for Gomes, and that he pairs well with Max Scherzer, Stephen Strasburg, and…no, we’ll get to him in a moment. Reynolds’ inclusion on this list is, essentially, a quirk of this chosen format. Nats fans know who Reynolds is; they got to see him in action last spring, and at a few points during the season; they probably recognize him as the less good of the two Reynoldses, with affable veteran first baseman Mark Reynolds making a big impact filling in for Ryan Zimmerman before the All-Star Break. The Nats needed to clear roster space somehow when they signed Dozier. Matt Reynolds was the obvious choice to be voted off the island. 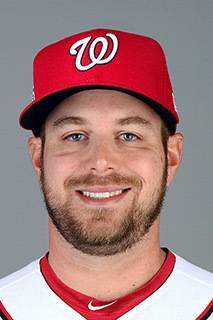 His designation for assignment came as little surprise after the Nats chose not to call him up when rosters expanded in September, even though he had previously logged time with the major league club and would be out of minor league options after the season ended. In limited time with the Nats, Reynolds was a non-factor, coming to the plate just 14 times and making only one start (as a third baseman). With Class-AAA Syracuse, Reynolds actually ended up being a fairly useful player, getting on base about 36% of the time and seeing time at every position except catcher and pitcher. But despite his positional versatility, Reynolds simply doesn’t bring all that much to the table. His plate discipline isn’t terrible, but it’s far from elite. He has no power to speak of, and not the kind of quickness you look for in a stolen-base threat. His inclusion on the list of NRIs could be simply to give manager Davey Martinez or bench coach Chip Hale a player they can plug in anywhere on the diamond, replacing any rostered player on the field except the backstop and providing more choices for split-squad configurations. Less charitably, it could be seen as a courtesy gesture to an organizational player who was jettisoned from the roster earlier this winter. Many in the baseball world wondered what the Nats were thinking when they traded away Tanner Roark. Sure, Roark’s results over the past two seasons had been poor, but he reliably took the ball every fifth day and was one of the longest-tenured Nats at the time of his departure. Within days, general manager Mike Rizzo answered those questions by signing Anibal Sanchez, a former Detroit Tigers teammate of Scherzer who enjoyed a beastly year with the division-rival Atlanta Braves. The topline stats are good, but what the Nats especially liked is the peripherals undergirding them. As FanGraphs noted, Sánchez saw his swinging-strike rate surge and succeeded at keeping the ball down to limit home runs, which had bedeviled him in the past. Perhaps most importantly, he did it all while showing off some new and improved weapons in his pitching arsenal, throwing fewer fastballs and sliders and introducing a cutter that proved effective at inducing soft contact. He looked like a completely new pitcher, and he was able to secure a two-year major league guarantee a year after signing a minor league deal with Atlanta. The major strikes against Sánchez are threefold. 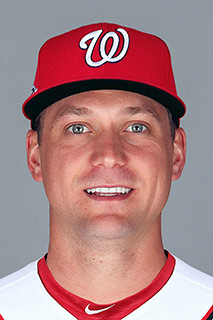 One, he is 35 this month, the third-oldest member of the Nats’ roster. Two, his fastball velocity has been dropping steadily for years, averaging under 91 mph last year. Three, he has historically given his team a lot fewer innings than Roark was able to steadily provide, missing time last year with a hamstring issue and frequently being subjected to an early hook by manager Brian Snitker. But the Nats aren’t asking Sánchez to be an ace. They just need a fourth starter who can provide more value than Roark. That should be doable…right? You know what — no. You see the 2018 stats, and that’s fine. But in order to try to make sense of Barraclough’s season with the division-rival Miami Marlins, you have to break it into halves. Barraclough was one of the best relievers in all of baseball from March 30 to July 21, with a pristine 1.45 ERA, a stingy .129 average against, and a strikeout rate of more than a batter per inning. What happened on July 22? Summoned to close out a 4-1 game, Barraclough imploded, surrendering back-to-back-to-back hits, recovering to retire the next two batters, and then giving up a walkoff grand slam. From there, Barraclough’s season collapsed. Missing time in the middle of August with a back issue, he staggered to a hideous 13.86 ERA from July 22 through the end of the season over just 12⅓ innings, walking as many batters (11) as he struck out. Within days of the season ending, the Marlins sold their once-prized bullpen ace to the Nats for international bonus money. The Nats are gambling that Barraclough’s second half was a wild small-sample-size fluke, perhaps aggravated by some combination of a nagging injury, low morale on a tanking team, and the pressure of closing. Barraclough is still young (29 in May) and has minor league options remaining, and after taking his new team to arbitration and losing, he is making less than $2 million this year. 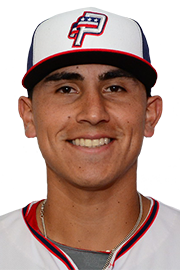 It was a low-risk move by the Nats, giving up very little to gain a pitcher who has significant upside — and can be shipped to Class-AAA Fresno for a midseason tuneup if need be. (Hey, it worked for future All-Star Blake Treinen in 2015.) And if Barraclough does play to his ceiling, he could provide part of a bridge to All-Star closer Sean Doolittle, helping to lock down wins for a team that is legitimately thirsty. At 25 years old, the hard-throwing Rainey got to live his dream last year, when he made his major league debut with the Cincinnati Reds. Unfortunately, that dream ended up being a nightmare, as major league hitters teed off on the young right-hander, dumping four earned runs on him in his first inning in The Show on April 10 and pounding him for eight earned runs over two-thirds of an inning in his final big-league outing of the year on July 11. In the interim, only once did Rainey complete at least one full inning without letting up at least one run, with his best outing delivered against the Pittsburgh Pirates with two scoreless frames in a one-run loss on May 23. When he wasn’t wearing a Reds uniform, Rainey actually performed pretty well for the Class-AAA Louisville Bats. He struggled with command, with a wild 6.2 walks per nine innings, but he also struck out 11.5 batters per nine and didn’t give up a lot of base hits. While he was a starter in his first two seasons with the Reds organization, the 2015 second-round draft pick out of West Alabama now works exclusively in relief, where his fastball plays up and can hit 100 mph at peak. Rainey doesn’t enter camp viewed as a serious contender to head north with the Nats, but a strong showing could make him a leading candidate for an injury callup. At best, if he refines his walks and shows he can handle the pressure of pitching in the major leagues, Rainey profiles as a future setup man. His closest comparison (and, perhaps, competition) within the Nats organization is probably fellow rookie Austin L. Adams. The Bear is loose! And honestly, it’s impossible not to cheer for Barrett. 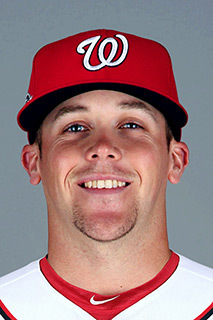 The fun-loving, high-octane righty was a rising star in the Nats’ relief corps (despite some mixed results) until the ulnar collateral ligament in his throwing elbow snapped midway through his sophomore season. That was back in 2015. Since then, Barrett has worked tirelessly to make his way back to a major league mound. He was making a rehab appearance at the Nats’ spring training complex in July 2016 when, mid-pitch, his right elbow fractured gruesomely. Emergency surgery did not go smoothly. Neither did rehab, with Barrett being shut down for the rest of that year and most of 2017. 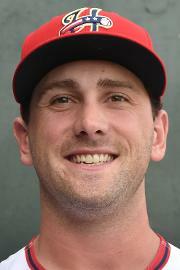 After finally retaking a mound in Florida late that year, Barrett was assigned to the Nats’ Short-Season A affiliate in Auburn for a limited trial run in 2018. Barrett is a bit of a surprise on the Nats’ list of NRIs. While he’s a folk hero within the organization, he hasn’t pitched at the major league level — or even above short-season ball, which is filled with recent draftees and international players acclimating to Stateside baseball and life — since 2015. For a time, it appeared as if he might never pitch professionally again. But against all odds, Barrett has made it this far. We would all love to see this Cinderella story continue. Can Barrett, now 31, make it back to the major leagues, maybe even as soon as this year? It seems unlikely. The Nats may have extended an invitation to major league camp more as a courtesy to a pitcher they’ve invested in, and who has done all he can to reward that investment, than to actually evaluate his place in the organization. But then again, maybe we shouldn’t bet against Aaron Barrett. After all, he has everything to prove and nothing left to lose. 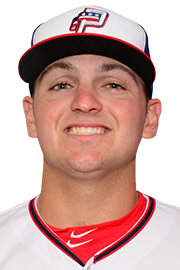 A repeat invitee to spring training with the Nats, Snyder was a late cut from camp in 2017, hitting well (and going on to a good year with Class-AAA Syracuse, as it turned out) but not quite managing to push his way onto a fairly settled 25-man roster. He spent last year in the Tampa Bay Rays organization, only taking six at-bats in the major leagues while providing a serviceable corner bat (and even nabbing a few innings at second base, shortstop, and even catcher) for Class-AAA Durham. Snyder is now a 32-year-old journeyman. While positional flexibility has always been his calling card, he is effectively a corner infielder at this stage in his career. He split time nearly evenly between first, second, and third base and left and right field two years ago for Syracuse, but all but three of his starts for Durham were made at either first or third. He provides enough power at the Triple-A level for that role, but he has never managed to stick for long in the major leagues, appearing for five teams across six major league seasons but only recording 211 career plate appearances (and 200 at-bats, which speaks to his biggest weakness: Snyder practically never walks). The Nats enjoyed having Snyder pop a few home runs and play around the diamond back in spring 2017, and he was a solid contributor for the lowly Syracuse Chiefs. 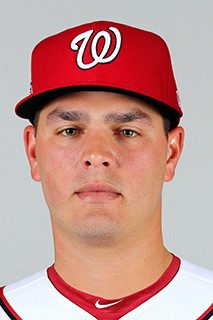 He doesn’t look like a significant contender for a roster spot this spring, although if the Nats are desperate for a right-handed power bat who can still fill in adequately all over the field…well, he fits the mold, anyway. The Milwaukee Brewers signed the veteran Hoover to a minor league contract with a spring training invite last year. After two forgettable appearances, he was designated for assignment in April, and he didn’t pitch for the rest of the season. What happened? Hoover has never been an elite reliever, but he’s had three sub-3.00 ERA seasons (2012, 2013, and 2015, all with Cincinnati) and was serviceable as recently as 2017 with the Arizona Diamondbacks, if you squint a little and ignore the 1.77 WHIP he posted that season. But the onetime Reds setup man, now 31, seems to be a poster boy for that enduring truth of major league relievers: You just never know how much you’re going to get from them. After Hoover took most of 2018 off, maybe there is hope for the Nats that he was able to reset, train up, and work back toward the form he displayed with Cincinnati early in his career. At the very least, there’s intrigue. Hoover will be worth watching early on in spring training camp. If he’s simply not major league-caliber anymore, it won’t take long to figure out. 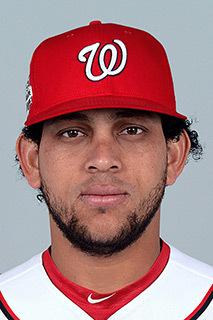 Nats fans should remember Henderson Alvarez. After all, he looked like he was really going to be somebody when he finished off a strong 2013 season for the division-rival Marlins by hurling a no-hitter, then went on to a 2.65 ERA All-Star campaign, pitching complete-game shutouts in fully one-tenth of his 30 starts, in 2014. 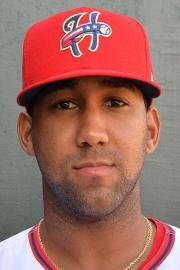 Unfortunately, shoulder surgeries forced him out of the major leagues the following year, and while he resurfaced as a September call-up for the Philadelphia Phillies in 2017, he spent 2018 pitching for Class-AAA Quintana Roo of the non-affiliated Mexican League (which, yes, is officially classified as a Triple-A league). It’s been a long time since Álvarez was great. But he’s too young to be washed up, right? He turns 29 in April, and while one can look at his peripherals in Mexico and cluck their tongue — just 4.8 strikeouts per nine innings, really? — it’s important to place those in context. Álvarez may have come up through the Toronto Blue Jays organization (and yes, he was part of that ridiculous twelve-player Toronto–Miami trade that also involved future Nats infielder Yunel Escobar) as a hard thrower. But he’s never been a strikeout artist, collecting National League Cy Young Award votes in 2014 despite a humdrum 5.3 K/9. It’s really hard to handicap Álvarez’s chances, beyond the typical-for-an-NRI “not that good”. His fastball velo had lost a few ticks at last we saw him, perhaps unsurprising after shoulder woes nearly scuppered his baseball career altogether. This month, the Nats re-signed veteran Jeremy Hellickson, who appears to have the inside track to round out the rotation behind Scherzer, Strasburg, Sánchez, and…yeah, yeah, we’re getting there. Even before that, the talk was mostly focused on Joe Ross and Erick Fedde battling for the last rotation spot, with Álvarez (who reportedly signed with the Nats all the way back in November) on the periphery. But of the pitchers vying for that last starting spot, or maybe that long relief role in the bullpen, Álvarez arguably has the strongest track record. His glory days are years in the past. But if he can display that form from before the surgeries, before the year spent in Quintana Roo, then this spring training competition could get really interesting. This was the offseason move that really made us sit up and take notice. Last winter, Rizzo charted a conspicuously conservative course, re-signing about half of Washington’s largest-in-MLB major league free agent class over the course of the winter while doing little other than replacing Adam Lind with slugger Matt Adams (a 2019 returnee whose omission from this list you will hopefully forgive). He eventually brought in Hellickson during spring training, but the offseason basically came and went without Rizzo seeming to notice last time around. When Rosenthal, a former closer for the St. Louis Cardinals who spent 2018 as a free agent, working his way back from UCL replacement surgery, signed with the Nats on an incentive-laden one-year deal, it was a sign that this time around, Rizzo would take chances, make mistakes, and get messy. One can certainly debate the wisdom of giving a contract worth up to $14 million to a guy who always flashed brilliance but struggled for consistency with the Cardinals one elbow ligament ago. But Rosenthal could hit triple digits, struck out more than ten batters per nine innings in every full major league season he’s pitched, and has never feared a high-pressure situation. Back in 2015, he notched 48 saves with a 2.10 ERA and earned an All-Star nod. And at exactly six days younger than Kyle Barraclough, he’s still (theoretically) in the prime years of his career. Barring injury, Rosenthal is a lock for the major league bullpen, and it seems certain he will enter the season as the primary setup man for closer Sean Doolittle. His performance in spring will be interesting to watch, but it’s probably worth giving him the benefit of the doubt — more so than with, say, the older and less historically dominant Hoover — if he comes out a little shaky. Sometimes you do everything that’s asked of you, and you do it very well, and you still have to settle for a minor league deal after the year is done. (Just ask Lind about that.) That seems to be the situation in which veteran southpaw Vidal Nuno finds himself. Employed as an effective situational reliever by the Rays last year, and used to decent results as a starter at Class-AAA Durham, Nuño is nonetheless trying to break camp with a team after not finding a guaranteed major league deal. Nuño’s topline stats from 2018 are really good. He rode his funky slider, which he used much more last year, to great effect. 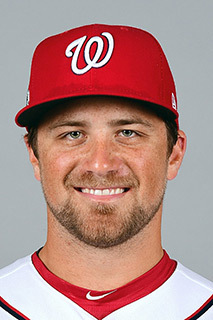 But as MLB Trade Rumors noted when his signing by the Nats was first reported last month, he enjoyed an absurdly low BABIP, with under 22% of the balls put in play against him landing for hits, and not a single one of his bequeathed runners (that’s a real baseball term, look it up) ended up scoring. His fastball velocity hovers around 90 mph, with a low- to mid-80s changeup a subpar separator. So there’s a pretty good bet Nuño won’t repeat his sterling results. The question, then, is whether…even allowing for some regression…Nuño can still be an effective contributor from the Nats? And in what capacity? The Nats have suggested he’ll be a swingman in camp, evaluated as both a starter and a reliever. 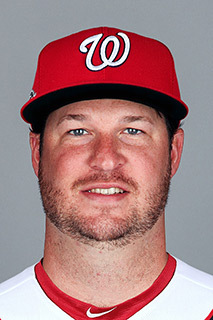 He does have an agreed-upon major league salary if he makes the team, and opt-outs if he doesn’t, so that’s a pretty good indicator the Nats intend to seriously consider the crafty 31-year-old for a role. He’ll likely compete for a role as long reliever out of the ‘pen, possibly placing him in contention with Álvarez, Ross, Justin Miller, Kyle McGowin, Sammy Solís, and maybe Hellickson (if he doesn’t win the fifth starter spot as expected) during spring training. And here we are: our new frontline starter. What a coup it was to snag Corbin out from under the noses of the “stupid-money” Phillies and the perpetually big-spending New York Yankees. It took a six-year commitment and an average annual value of well over $20 million to get it done, but the Nats now have the second- and fifth-place finishers in National League Cy Young Award balloting from 2018 fronting their rotation, and for now, life is sweet. 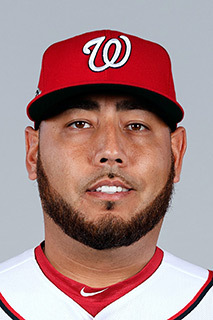 A left-handed starting pitcher whom the Nats certainly hope will be an improvement in the role from predecessor Gio Gonzalez, Corbin pitched magnificently for the Arizona Diamondbacks last year. Of course, the caveat is that the 29-year-old southpaw earned his big payday with Washington coming off a career year. Indeed, a TalkNats featurette on possible trades the Nats could make after the 2017 season wasn’t overly impressed with Corbin as a potential acquisition, noting that while he was a potential breakout candidate (nailed it! ), his results thus far had been more workmanlike than “flashy” and suggesting he didn’t look like an “impact player” (oops). Corbin represents one of the biggest gambles the Nats have ever made: a colossal commitment to a player whose best year might have been a mirage in the desert. But team brass clearly have faith he can back up his 2018 results with a six-year Nats career of stardom. At his best, he might actually push the ageless workhorse Scherzer for the title of staff ace. Tomorrow never knows. Man, did Jacob Wilson ever have to earn it. 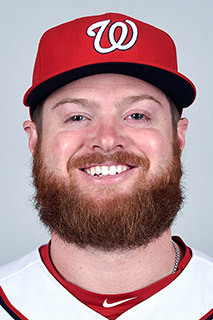 A career minor league player, Wilson was plucked out of the Cardinals organization in December 2017 during the minor league portion of the Rule 5 draft. While the Nats gave him a few cameos on the major league side of spring training last year, he wasn’t an official invitee, and he ended up starting the season at Class-AA Harrisburg. Wilson was determined to improve and get out of Double-A ball, though, and he worked with Nats coaches to refine his swing. As his statline suggests, Wilson isn’t really a power hitter, and by changing his swing to play to his strengths, he earned a nod on the International League All-Star team after being promoted to Class-AAA Syracuse. Although his numbers on the year aren’t particularly eye-catching, they were perfectly adequate for a journeyman utility infielder who played just about everywhere in 2018, including several games in right field. He earned his way to his first major league spring training. So, what now? The easiest comparison for Wilson within the Nats organization is probably Reynolds, and Reynolds just got DFA’d. Wilson is likely a long-shot at best to break camp with the team. But while he’s in camp, Martinez and Hale can use him just about wherever they like, count on capable defense, and maybe get some quality at-bats out of him. Perhaps with a particularly good showing, he could put himself in position to be this year’s Adrián Sánchez — when half the infield hits the injury list and all else fails, he’ll be there, just in case he’s needed. Copeland, 31, spent last year in the New York Mets organization. He made a brief cameo in the major leagues, but he spent most of his time as a starter for Class-AA Binghamton and Class-AAA Las Vegas. The division-rival Nats evidently scouted Copeland and liked what they saw, because they signed him to a minor league contract and invited him to spring training this year. A big 6-foot-3, 220-pound right-hander, Copeland doesn’t have overpowering stuff, but he matched up fairly well against high-minors hitting, even accounting for the famous hitter-friendliness of the Pacific Coast League. But he spent most of his year at Binghamton, facing Double-A competition, and his numbers there (3.63 ERA, 1.41 WHIP) don’t exactly suggest that was a level too low for him. Copeland figures as organizational depth to stash at Class-AAA Fresno or Class-AA Harrisburg, providing innings to those minor league teams while perhaps lending a veteran hand to help guide the development of younger pitching prospects. But he’ll get a chance to show the Nats what he can do at spring training camp. He has an outside shot at pushing his way into the conversation for a long-relief position, although it’s more likely he will be making a case to be considered as an injury callup later in the year. Ah, yes, now we come to the annual exercise of trying to figure out what to say about fallen first base prospect Jose Marmolejos that we didn’t say the year before. Ah…hmm. Well, Marmolejos didn’t have a great year at Class-AAA Syracuse in 2018, a year that saw him outrighted from the 40-man roster midway through the season. For a player limited to corner positions, he wasn’t much of an offensive force, being handily outhit by the likes of utilitymen Reynolds and Wilson. He did spend significantly more of his time than he did the year prior playing corner outfield positions, which at least modestly boosts his utility. Hmm. What else to say. Marmolejos bats and throws left-handed. He’s 26 now, as of a little bit more than a month ago. He’s 6-foot-1…hmm. Once upon a time, and it wasn’t actually that long ago, Marmolejos was actually a prospect of note in the Nats organization. Many prospect rankings still list him somewhere near the bottom of the top 30, or 40, or however many they’re doing, but Marmolejos was passed over for cups of coffee in September 2016 and 2017, was DFA’d and went unclaimed without having ever made his major league debut last year, and didn’t exactly force his way back into the conversation down the stretch. It says something that the Nats have extended him a second consecutive non-roster invitation to major league spring training. But it might just say the Nats need an extra body to spell Ryan Zimmerman at first base. At any rate, Marmolejos doesn’t look like a factor in any spring training competitions, and while one must hope the two-time Organizational Player of the Year can somehow resurrect his standing and earn a long-deferred major league entry, the odds seem decidedly against it at this point. To another set of numbers, which is a fastball velo range that scouts peg at around 96-98 mph. That’s some good heat from a sixteenth-rounder out of Palm Beach State Community College, so one can forgive the Nats for overlooking some stumbles at the higher level in favor of getting a closer look at the right-hander this spring. Peña is old for a prospect. A 27-year-old who hasn’t yet mastered Double-A ball rarely garners much attention. And yet, when Baseball America released its prospect handbook for the Nats this winter, there was Peña clocking in toward the bottom of its top 30. 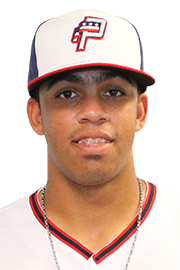 And when the Nats rolled out their NRI slate, there was Peña listed alongside top prospects like Carter Kieboom and established major leaguers like Vidal Nuño. Sometimes, these things just defy prediction. Us amateurs will get a chance to judge for ourselves whether the scouts are on to something unusual here. Ready to feel old? Luis Garcia was born in 2000, and he doesn’t even turn 19 until May. (Yes, those are braces he’s wearing in that picture from last season.) Yet here he is in his first major league spring training, ready to put on a show. Garcia ranks as the Nats’ second-best infield prospect, according to most evaluators, just behind the more advanced Carter Kieboom. (Note that his statline from last year across Class-A Hagerstown and High-A Potomac, while certainly not bad, doesn’t come close to matching Kieboom’s across High-A Potomac and Class-AA Harrisburg.) But thanks to his athleticism, baseball instincts, and compact left-handed stroke, some scouts think Garcia may have a higher ceiling than Kieboom. Toward the end of last season, there were even some quiet comparisons being drawn between Garcia and a kid by the name of Juan Soto. Holding the distinction of being the only player on this list who is on the roster but has yet to make his major league debut, Bourque put up some head-turning numbers across High-A Potomac and Double-A Harrisburg in 2018. Like rookie Austen Williams, Bourque benefited hugely last year from being converted from starting to relieving, lowering his ERA by more than three earned runs per nine innings from the year before at Class-A Hagerstown and boosting his strikeout rate to Scherzerian levels, with a 12.9 K/9 across both levels this past season. 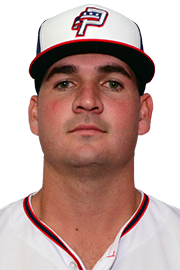 Bourque was an easy shout for protection from the Rule 5 draft last year, and the Nats promoted him to the 40-man roster, guaranteeing him a locker on the major league side of spring training camp and putting him in line to break into The Show in 2019. While the consensus seems to be he’s still not quite major league-ready, Bourque is close. The 25-year-old right-hander was pitching into the high 90s last year, according to reports, and some more seasoning in the high minors could put him on the brink of realizing a ceiling as a major league setup man. Watch this guy in camp. He’s probably not going to get any serious consideration to make the team out of spring training, but you can bet that a good showing will get people inside and outside the organization talking. And we could be seeing a lot more of this flamethrower in the near future. 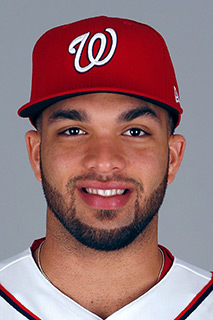 Joining Wilson in the “boy, did he earn it” category of NRIs, the 27-year-old Jones is a journeyman outfielder who joined the Nats on a minor league deal in early 2018 and spent the season working hard to put himself in line for an opportunity like this. A center fielder by trade who can play anywhere in the outfield, Jones has a right-handed bat geared toward contact, with decent plate discipline that somewhat offsets a decided lack of home run power. Jones was a sneaky threat on the basepaths last year for Class-AA Harrisburg and Class-AAA Syracuse, too, a skillset that could tempt the Nats if they decide what they need on the bench is a good pinch-runner. Ultimately, Jones is probably mostly on the NRI list to reward him for coming to the Nats last winter and slogging his way through a strong season for Washington’s doomed high-minors affiliates. 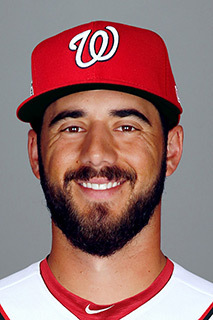 He could get a look, potentially, as a speedy fifth outfielder who is probably a finished product — if, say, the Nats are inclined to favor someone like Andrew Stevenson but are concerned about having him rot on the bench instead of getting more development time playing every day — but he enters camp as a dark horse at best. Taylor arrived in the Nats organization the same way Wilson did a year prior: through the minor league portion of the Rule 5 draft. 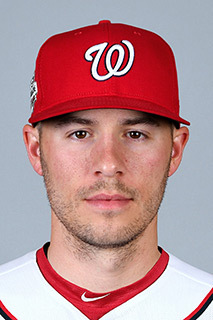 The Nats plucked him out of the Seattle Mariners organization, and they appear to be intrigued enough by the 25-year-old center fielder that they’ve invited him to major league spring training before he’s played a game for a Nats farm team. Taylor’s numbers aren’t much until you get to that last one up there. Against 79 strikeouts last year for Class-AA Arkansas, Taylor accepted 61 walks. That’s legitimately interesting. There are a lot of walks-to-strikeouts ratios on this list that are in that mid-0.50s range, and a few that are a lot worse than that (uh, hey there, Yan Gomes!). But Taylor is a walking man. That’s a good way to put your team in a position to drive in some runs, and it’s something of a lost art in today’s all-or-nothing game. The plate discipline numbers notwithstanding, though, Taylor profiles very similarly to Jones (though it’s worth noting that he’s a switch-hitter), and they both compare broadly to Stevenson. The base-stealing acumen of Jones and Stevenson could put them above Taylor if the Nats are interested in including that type of player on the roster. What might be worth keeping an eye on is whether Taylor runs more in spring camp than he did last year; it should be mentioned he went 10-for-12 in steal attempts at the Triple-A level in 2017. 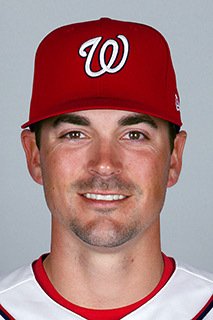 In a bold move aimed at countering criticism the Nats received for allowing Ryan Zimmerman to basically skip major league spring training last year, the team has announced it will feature not one but two Ryan Zimmermans at this year’s camp. In all seriousness, Zim doppelgänger Jake Noll put together something of a breakout year in the minor leagues to build on a strong second half in 2017. He earned a midseason promotion alongside Carter Kieboom, from High-A Potomac to Class-AA Harrisburg, and again accompanied Kieboom to the Arizona Fall League after the season ended. His numbers were more solid than spectacular for the year, and he suffered a notable power dropoff going from facing High-A pitching to the better-quality pitching at the Double-A level. 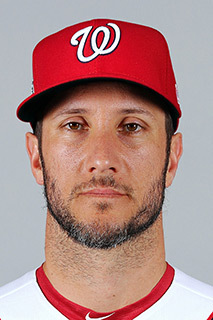 But he fashioned a successful season for himself that evidently impressed the Nats enough to bring him to camp to freak out people who thought they saw Ryan Zimmerman in the other room like fifteen seconds ago get a chance to keep working with Kieboom and get to know some of the players on the major league side. Noll does not appear to be a candidate for a major league role at this point. 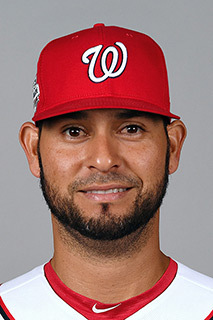 But his presence in camp will give Nats brass an opportunity to look at a soon-to-be-25-year-old infielder who has been putting in the work to boost his profile and ascend to new levels within the organization. A very good season from Noll could potentially place him in consideration for a spot on the 40-man roster late in the season or afterward, as he will be eligible for the Rule 5 draft in December. Top pitching prospect Wil Crowe’s season was going so well right up until he was promoted from High-A Potomac to Class-AA Harrisburg. Owner of an 11-0 record and a modest 2.69 ERA for Potomac, Crowe suddenly found himself getting a whole lot less run support and facing a whole lot tougher batters as a Harrisburg Senator. He slumped to a 6.15 ERA at Double-A and lost all five of his decisions. It’s not all bad for Crowe, who gets to participate in his first major league spring training since being selected in the second round out of South Carolina in 2017. The Nats are reportedly still high on the right-hander, and he looks like prospective rotation depth behind the likes of Ross, Fedde, McGowin, and Austin Voth within the farm system. But his second half last year didn’t exactly inspire confidence that he is ready to compete for a major league role now. This is all about making an impression and giving coaches something to work with in guiding his development strategy. Crowe can work on figuring out how to retire more polished hitters during his time in major league camp. He can also sit at the knee of Scherzer, Corbin, and other successful pitchers who might have a thing or two to share that will help him turn the corner. It’s way too soon to consider the 24-year-old to be a washout. But this is an important year for Crowe, and this non-roster invitation just might be what he needs to start it out right. Barrera has been taking it one level at a time since he was drafted by the Nats out of UT Austin in the sixth round in 2016. Nonetheless, he enjoys the distinction of being one of only two NRIs in camp (alongside the higher-ranked prospect Garcia) who has never played above A-ball, having spent 2018 with High-A Potomac. Barrera appears to be eminently likable, with a cheerful social media presence and a tendency to make his way into stories like this one, which is ostensibly about a teammate in the Arizona Fall League but ends up giving off the sense that Barrera is someone with great leadership skills and a knack for communicating well with others. Both of those are excellent traits for a catcher, and the Nats are showing confidence in Barrera’s ability to handle a staff by giving him an invitation to spring training even though he hasn’t accomplished a lot as a hitter in the low minors. Especially in the early weeks, spring training camps always need extra catchers. Barrera is there in that capacity, a professional who can catch some innings and work on practice drills with more experienced hurlers. 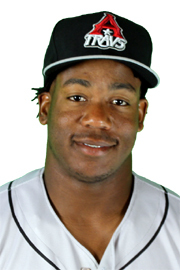 But as he advances into the high minors and ascends organizational prospect charts, Barrera could find himself back in camp next year with an expanded role. If all goes well for him, he could carve out a long career as a major league backup catcher. As with Marmolejos, there’s just not a lot to say about Gushue that wasn’t said last year. He’s a year older, now 25. He made it to Class-AAA Syracuse for a good chunk of the 2018 season after starting back in Class-AA Harrisburg. Like Marmolejos, he took a big step back offensively after a tentative step forward in 2017. Yet he’s back in major league spring training with the Nats for a second consecutive year, and he will have some role to play. As a catcher, like Barrera, Gushue can serve as someone to pair with pitchers in drills and take the stress off the knees of rostered catchers like Gomes, Spencer Kieboom, and Kurt Suzuki (like Matt Adams, another returnee to the Nats I hope you’ll forgive me for not reintroducing to you in this list). He worked with some of them before in Harrisburg and Syracuse, and heading into his third year in the organization since coming over in a minor trade with the Pittsburgh Pirates in late 2016, he knows the ropes. Gushue is a switch-hitter, but generally a light hitter, with his strongest offensive tool being the ability to run into a pitch and clobber it over the fences from time to time. 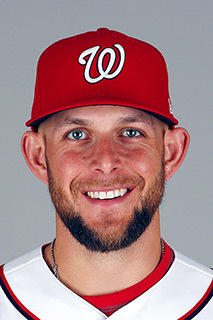 Reports are that the Nats have generally been pleased with his progress on defense and game-calling, so even if he doesn’t look like someone who will ever be a major league-caliber hitter, it isn’t too surprising to see the Nats bring him in for a second straight spring to help handle the pitching staff. This entry was posted in Bullpen, Corbin, Dozier, Prospects, SpringTraining, YanGomes. Bookmark the permalink.